Django 2: Il Grande Ritorno (internationally released as Django Strikes Again) is a 1987 Italian spaghetti western film directed by Nello Rossati. It is the only official sequel of Django and stars the original Django actor FRANCO NERO back in the role of the machine-gunner hero Django. Also starring Christopher Connelly and Donald Pleasance. The musical score for this spaghetti sagebrush saga is by Gianfranco Plenizio, who wrote a multi themed and very colorful and eclectic score for the movie. 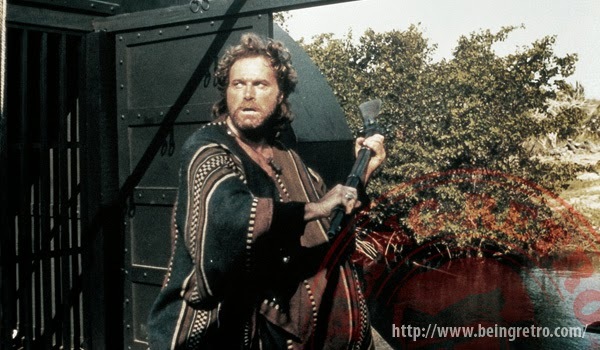 The composer employs a strong trumpet theme for the gunfight scene that takes place at the beginning of the movie that is reminiscent of the style of composers such as Morricone, Micalizzi and Francesco De Masi. Plenzio also effectively employs a wordless female soprano voice on a number of cues again evoking the style of Morricone when he turned to Edda dell Orso on so many of his western scores. 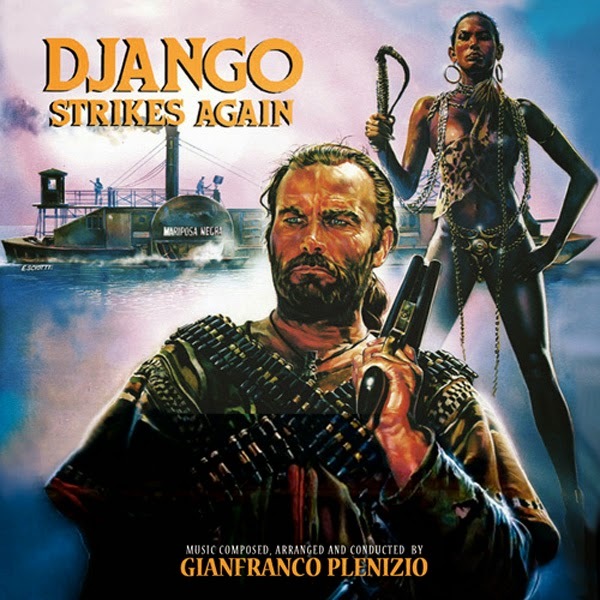 The music for DJANGO STRIKES AGAIN has a strong South American influence with pan pipes at times being introduced into the proceedings adding some ethnic authenticity plus Plenzio from time to time includes an ominous sounding tolling church bell that punctuates and augments the events. A vinyl containing thirteen cues of the film was released back in 1997 by Colosseum. This CD features the score in its integrity and features 36 tracks for a length of 54 minutes of music. PRE-ORDER NOW! BE QUICK OR BE DEAD!